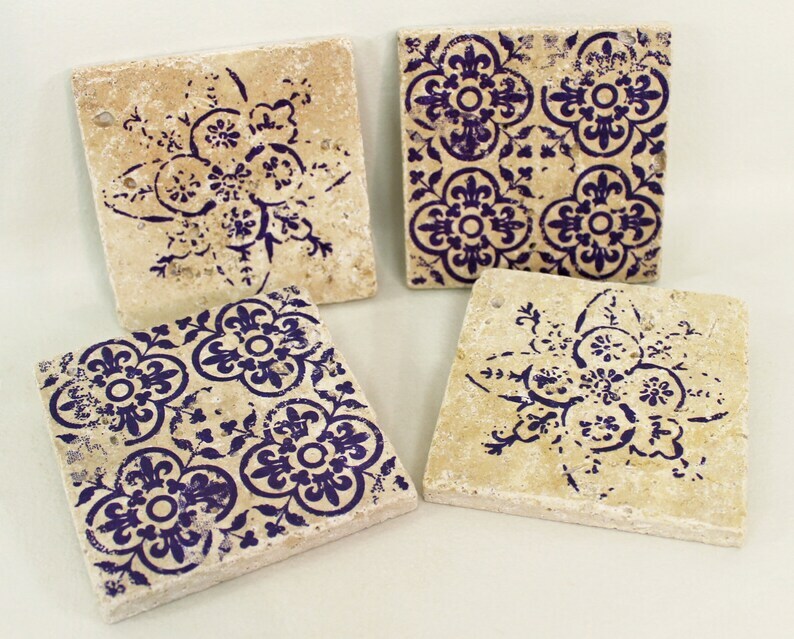 Our vintage tiles made of real travertine stone are an absolute eye-catcher. They are to be used as a coaster and beautiful decoration-even as a small souvenir a wonderful thing. Of course they can be glued to the wall as a single tile or in a tile mirror. Enchanting Küchendeko Quote Vintage travertine tile/coaster "Kitchen Rules"